Stay On Top of Work With Stefan Engeseth! 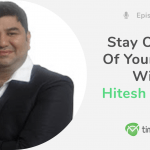 We’re back with another episode of our podcast on how to stay on top of your work! I had a pleasure of talking with Stefan Engeseth, an author, consultant, speaker and Guest Professor. 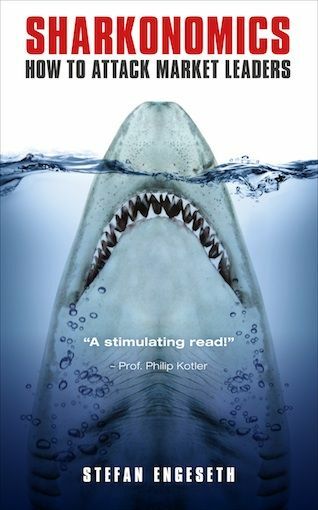 Stefan is an inspiring and open person who based his book “Sharkonomics” on the evolution and behavior of sharks. 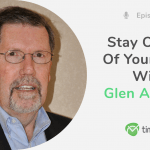 Listen to our conversation, learn what sharks have in common with project management, and why it is important to keep the kid inside of us alive. 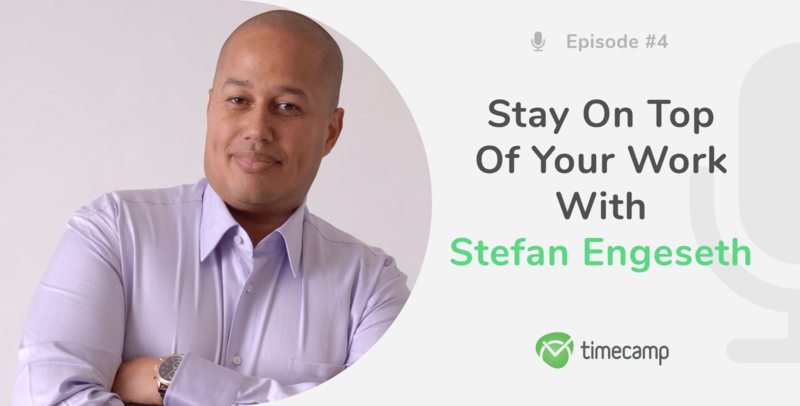 Enjoy the podcast and let me know in comments what you think about Stefan’s tips! Are you an iTunes user? Listen to the podcast here! Kate: Welcome back to the series of podcasts Stay On Top of Your Work. This is Kate and today my guest is Stefan Engeseth. So he’s a bright and interesting persona without whom the world of management would be boring. Stefan is an author, consultant, speaker, and Guest Professor at the University of New York in Prague. He has worked as a consultant with many companies and corporations worldwide. 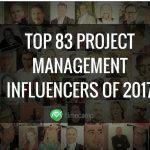 Stefan, you are also described as one of the world’s leading experts and speakers in your fields which include business strategies, leadership, management, and marketing. So how are you today? Stefan: I’m doing fine. It’s nice, today I’m in Stockholm but it’s a bit cold but it’s really nice. I’m doing fine. Thank you very much. I hope you’re doing fine too. Kate: Yes I’m doing fine too. It’s cold here today too so I can relate. Okay, to begin with, I’d like to ask you what made you chose such a career and develop these skills that you’re pursuing? Also, can you say a few words on your professional interests? Stefan: Well, as a person I always try to stay on to of whatever I do and I spent a lot of time, even years nearly living in libraries but I couldn’t find really good strategies and innovation about evolution, or how to develop a company. So I turned to nature and in nature I found it fantastic. Because personally, I m not so impressed with homo sapiens when it comes to evolution I think nature is so much more. And I haven’t been to Poland yet but I’ve heard that you have a really fantastic nature so it’s a nice library, the Polish nature. Kate: Yes it is, I encourage you to visit our country, it’s really beautiful and inspiring. Stefan: I hope to go there, I have some invitations to come and have lectures. Also, request to get my book translated into your language. So we’ll see how it goes. Kate: So when it comes to business strategies and management, how can these two aspects be combined to provide successful company’s development? But I’m actually interested in nature since you mentioned it. Does it inspire you somehow in your work? Stefan: Yes, it inspires me a lot because companies started to hire me to come and attack them just as to hire a hacker to attack their firewalls and to attack their business models and what they do and the strategy and the management and everything. And I couldn’t find really good strategies to how to attack them so I turned to nature because most of the management books, in my opinion, were old and many of them were outdated when it comes to being on top of things they were created around 2nd World War or something so they’re quite old. So I turned to nature and I found sharks. So I’ve written a book called “Sharkonomics” and nature is superior because you can see that when it comes to homo sapiens, their strategies are quite good in the business world and the next level of strategies is sport and the next level is military, and the level above that is nature, because in nature everybody’s on the menu so there’s increased competition and that’s why the strategies are so much better. It’s like science fiction compared to the business world. Kate: So do you think there are any particular strategies that can help in developing a business? Stefan: Yes, a lot of businesses they get stuck in history because we as species are wired to save energy. So when businesses aren’t going well, people lean back and save energy and that’s what makes them vulnerable to attack. So by actually attacking them and showing them that there is this big risk to denial to not moving forward. So stay on top of things, sharks they always move, they never stop, they always swim 24/7. And I think this should be the same for management and for innovation or whatever you do in business, you always need to move on and the speed is so fats today on a transparent market that you always need to move really, really fast. For instance, sharks they never go directly to an attack, they swim around and they learn about their pray and that’s why it’s so effective. So nature’s superior when it comes to the attack even much more than the secret service, and the military, and everything that’s out here. Kate: So let’s talk about your book, “Sharkonomics”. Because you’re the author of books. Can you elaborate on that book a little bit more and tell us what it is about and what topics it includes? It is really interesting, especially when you talk about sharks and how you connected it all with the world of business. Stefan: Thak you very much. Well, the book is translated into Chinese, Mandarin, Cantonese, Vietnamese, and Japanese and I have a lot of requests from different countries and from Poland of course. Well, Basically, sharks have been around for 420 millions of years and I’ve been studying their history and I boiled it up to 10 attack strategies and 10 defense strategies. And defense – I’m probably the only person in the world holding business defense strategies workshops. Full, daily workshops. Because corporations, they don’t have defense strategies but of course you can have a balance between defense and attack, it’s much easier to move forward because what’s happening with big corporations it’s they don’t have a defense strategy, they’re just becoming a big whale which you can chew on. You can take so many bites because they don’t have any defense. It’s like putting the money on the floor and saying “welcome”. That’s how big corporations work today. It’s so easy to attack them. Kate: Well, Maybe! So you think in order to achieve success in business and, basically, in work we have to be like sharks? Stefan: Yes, we always have to move and we need to move much faster than our environment. For instance, the software we’re using right now, it’s a software I haven’t seen before, but it looks cool. And in the beginning, there was this Swedish company called Skype that was successful with it but this software we’re using now it looks like it’s above. Ahead of Skype and that’s the thing, if you have an invention, you cannot stop after you launch it. You have to move your product forward all the time. And you have to do it to get it to your consumers, clients, the whole environment is the support of the evolution of product and services. And it doesn’t matter if it is business to business or business to consumer. It’s the same thing. Everything is moving so fats today that we really need to speed up evolution in corporations. especially the big corporations have problems because they get stuck in history all the time. So they call me to attack them. Kate: So when you talk about innovation, do you think the innovative and creative approach is something that a good company cannot thrive without? Do you agree with that? Stefan: Yes, I do. Actually, it’s all about: move or die. If you stand still you will die in the market. It’s the same for sharks. And what I do right now, I swim in different waters where I see this big change coming, so for instance, when it comes to the construction industry, I’ve been doing a lot of lectures. Because I see the IT sharks like Google, Microsoft, and they’re moving in different business fields as the construction field and they’re attacking them because they haven’t changed, they haven’t moved for generations. And there are trillions of dollars waiting for them fleshy fleshy whales of big corporations and it’s standing still and we can see it in Sweden they’re doing very well in the construction field. And now, there are Polish companies coming here and attacking them too. It used to be the Polish workers in the construction field but now it’s the whole companies coming here and they’re very effective and I have friends visiting your companies in Poland and they are high on top of things. That’s why you can move globally and that’s why you can do international business. Kate: That’s great! I’m happy that things move so well for Polish people! So, when it comes to innovation, what do you think about the use of special tools for work or time management, such as, for example, TimeCamp which is a time tracking software? Do you think they are useful, do they make the work easier? Stefan: I think everything that gives you more time and organization is good. I think if you can get people to work as a tribe to get it especially when it comes to creativity because creative people are enormously fine to find new ways to move forward but what’s really important is how can you be creative as, of course, you know Lego? Different parts, how can you put your Lego part of creativity together. And then you can use a software as TimeCamp. Because if everybody puts their pot of the creation of innovation together, you’ll have a better solution faster. And personally, kids are the most creative people on earth. And they work very much with their body, mind, everything works together. So if you want to test TimeCamp you should have kids using it. They can use it and if they can get more creativity out of it, it’s fantastic! Kate: That’s a great idea! I have to tell it to my CEO because it really sounds innovative and creative! Stefan: Thank you very much. They’re wonderful, kids. They always have solutions and what I especially like with kids is that they don’t use management words. If they like something, they love it. And that’s how people should react, I think it’s too many words in the management field that don’t mean anything and in the management world, we present a lot of Powerpoints. Sharks don’t produce powerpoints, they take bites. If it tastes good, they take a bite more and that’s how I think management should be. And that’s why I wrote “Sharkonomics”. Take a bite and swim on and do business, that’s what it’s about. Kate: So as an author of books, can you say what other things inspire you and what books do you recommend for our audience to read that can bring something fresh into their business? Stefan: Oh, there’s a lot of good books, I think, on innovation, there are books by the Danish author, professor of Stanford, Clayton M. Christensen. But I think a classical book that is – I think Jim Collins is one of the best homo sapiens there is the classical book about Good to Great”, but also I think it’s is really important is how the mighty cooperations disappear and how they are coming back (“How The Mighty Fall”). And it’s all about the reason for why corporations don’t stay on top. It’s that they deny. They deny the risk of change. So when you deny a problem, you don’t want to spend time or money on evolution or innovation and what’s happening is you get stuck in history, like Kodak or so, because you see the change coming. For instance, when it comes to electronic music, we were seeing Napster for many many years before Spotify and those solutions. So if you look around today you will see a lot of signals of change and those who adapt to them, they will stay on top of it. Those who don’t they will die out. That’s the evolution of business. So Jim Collins is my first recommendation, and then you have a lot of good authors like Philip Kotler on marketing and so on but there is always something new and you have blogs, social media, there’s a lot of things, and you have podcasts of course. Kate: The last question I’m going to ask you is connected with our podcast, its name is Stay On Top of Your Work, so how do you stay on top of your work? How do you keep things together and make sure that everything works out? Stefan: I’ve been blogging since 2005. Then I got to know people from New Zealand and all over the world so by building up social media network around the world I could actually be 48 hours before traditional media. I know what’s gonna happen tomorrow or next week by being connected with a lot of dots around the world. That’s how I stay on top. And then I study a lot of different fields which I’m not an expert in. I study martial law, not to be a martial artist but I study it because I want to learn strategies in every field there is so that’s how I stay on top. And I watch a lot of nature shows, I do a lot of interviews, I talk with people, wherever I can learn something, I’m willing to learn. It doesn’t matter what people work with, or whatever I do I’m always trying to learn new things. That’s how I’m trying to stay on top. Actually, my behavior is like a kid. In the way that everything is new, if you have that mindset, so as a kid you’re so open to everything and you don’t deny knowledge, and I feel like I’m a student of life – that’s what I do. Then I teach at universities and so on also but as a person, I always strive for more knowledge and that’s one of my biggest needs as a person – I always want to learn new things. And that’s what I’m trying to be. Be humble for knowledge and always try to learn new things. For me, I learn the best when I do things for real. Instead of studying by watching television or on youtube or martial art I actually go to the warriors and I compete with them and I want to see how good they are and sometimes they nearly break my legs because they’re really good at what they’re doing but that’s the way I learn. But if I should study sharks I got diving certification, I spent three years studying them I went to South Africa and met the best shark experts in the world and that’s how I learn. Even when I go to kindergarten I play with kids because they are the best in creativity and I always want to keep the kid inside of me alive because that’s the most creative mindset a homo sapiens can have in my opinion and I think it’s really important and sometimes in management we forget that we’re all the kids and we need to have that connection to be really creative and innovative and always try to move on whatever you do in life. Kate: Thank you very much for your interview, it was really inspiring. Stefan: Thank you so much. Kate: Thank you all for listening. And I hope you enjoyed this interview. If you did, make sure to listen to our previous podcasts from the series Stay On Top of Your Work. Also, you can find more information about Stefan and his books under the podcast. Make sure to check it out, especially “Sharkonomics”.